I love this cinnamon & hemp seed coffee shake from plantbasedonabudget.com. It makes me so sad that I can’t order coffees or cappuccinos living wfpb (unless I order straight black coffee, blech!). 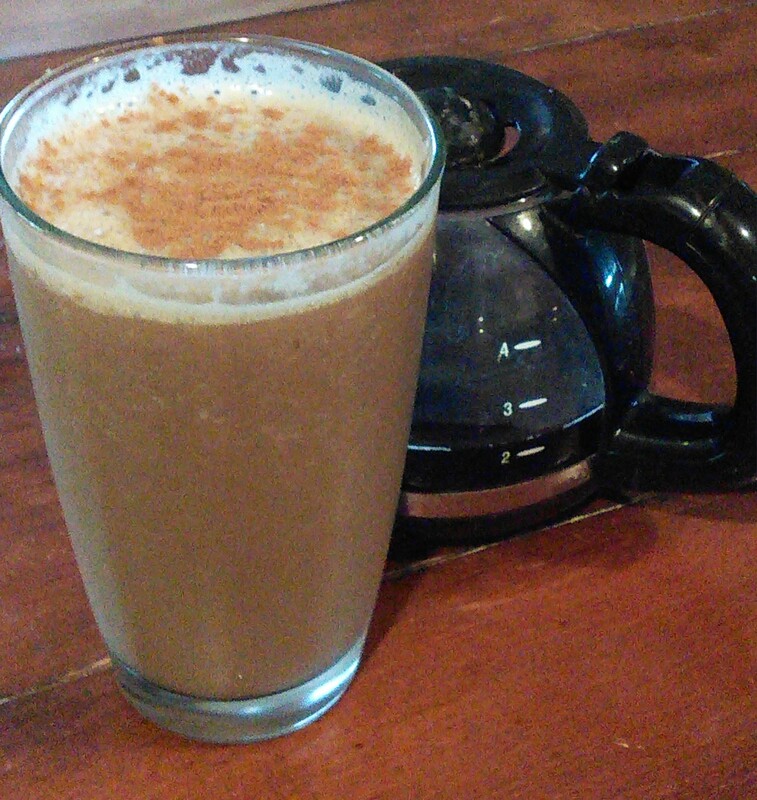 I’ve been hunting for good cold coffee recipes and this is my current favorite. I don’t stay exactly true to the original recipe because I prefer a coffee-er flavor over the banana. I’ve tried the original recipe (sans hemp seeds) and it’s good, but try adjusting the flavors to your own preferences! You can absolutely adjust the ingredients in the recipe to your personal preferences. Brew and chill the coffee (about 2-3 hours in the fridge, or overnight). If, like me, you don’t want to brew only 1 cup for this recipe, adjust the ingredients accordingly for brewing more cups of coffee. I have a 4-cup brewer and adjusted the ingredients for that amount in the pictures below. If you don’t completely chill your coffee you will need to use extra ice later. Put the plant milk, cinnamon, hemp seeds (if you’re using them), and vanilla extract in a blender. Mix until it has a smooth consistency. 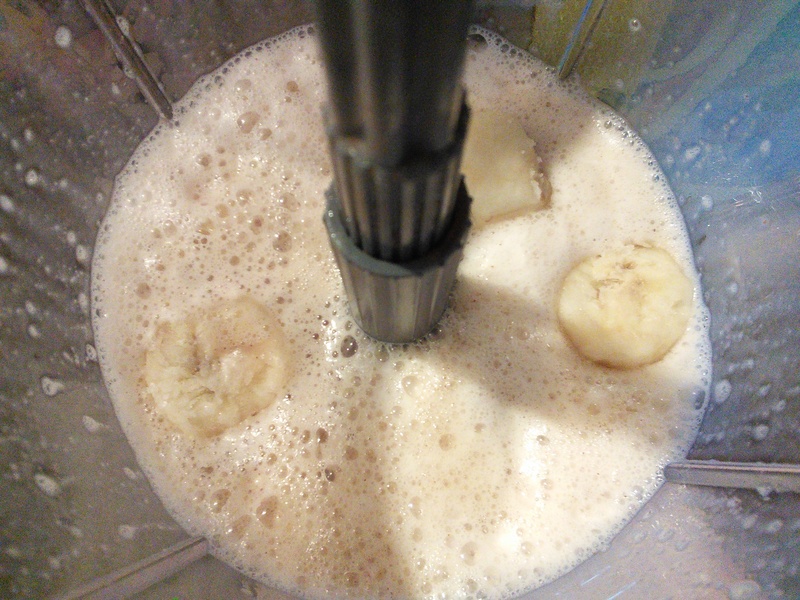 Add in the coffee and sliced bananas. Mix until smooth. 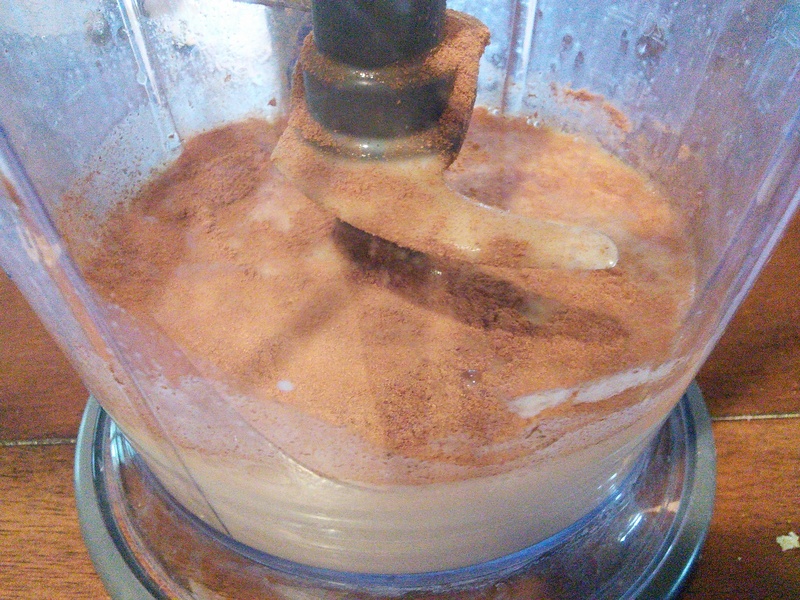 Add the ice last, blend on high until there are no chunks left, and that’s it! Add the sweetener if you want to, though I’ve never added sweetener to mine because it’s already good the way it is! Thanks so much for featuring my recipe on your page! You just made me crave it again!